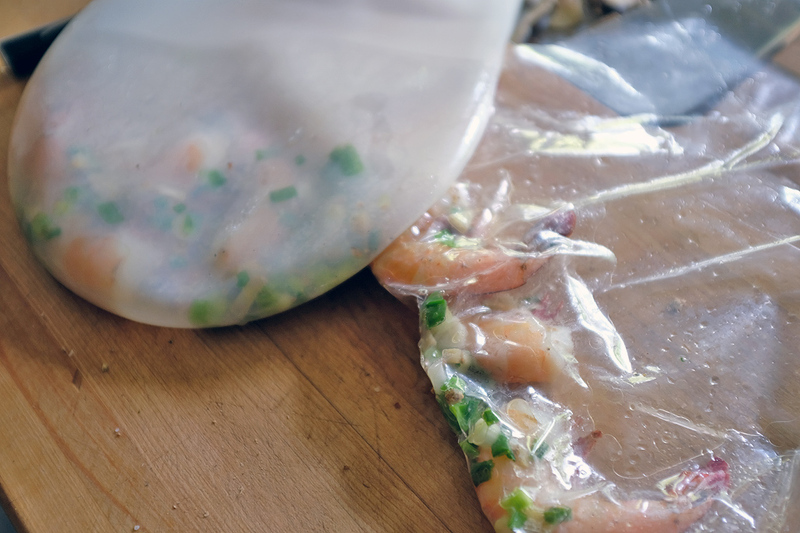 Our week-long test of the SIOChef silicone bags for sous vide cooking (shrimps, scallops, ribeye) has ended, and we can report that they work extremely well, are easy to clean, and best of all…are reusable. 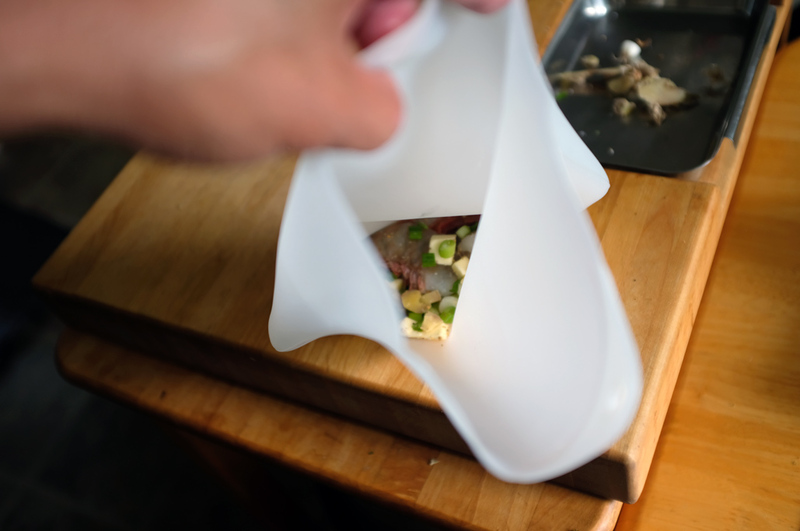 Also, because the bags are made using 100% food-grade silicone, there is no chance of any plastic contamination from prolonged contact with the food during the sous vide cooking process….awesome!!! 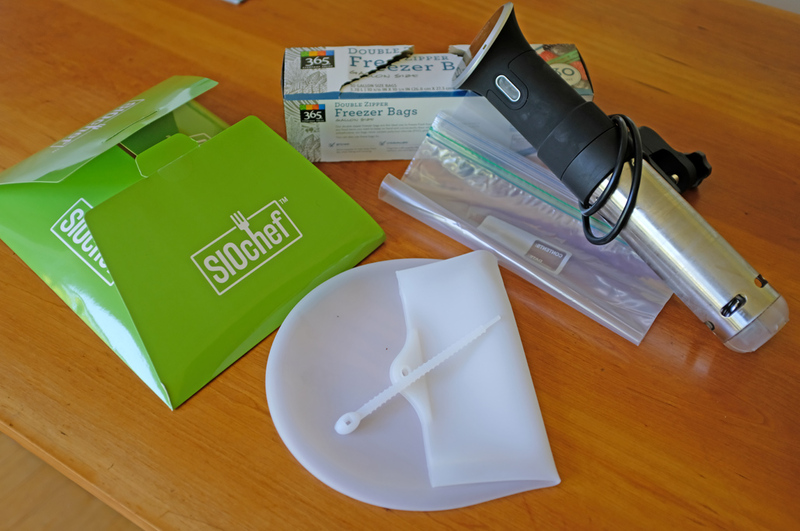 Everything was prepared in pairs for a side-by-side, one set for the plastic freezer bag, the other for the SIOChef silicone bag. 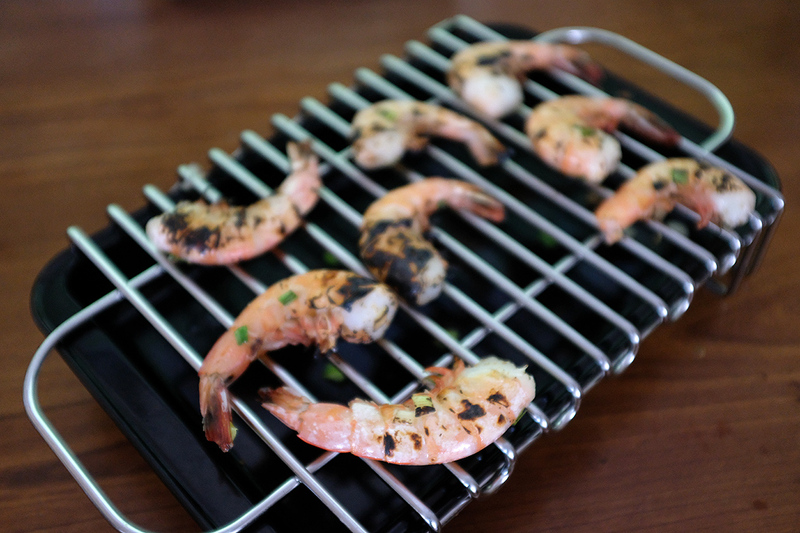 The shrimps were washed, dried, and dusted with salt and freshly grounded black peppers before being placed into their respective bags. Also into the bags went scallops, ginger, and unsalted butter. We used the displacement method to dispel the air. The method worked quite well with the thinner silicone bag. Everything was sous vided at 135º for 30 minutes. Sealed ziploc bags can, of course, be fully submerged, but the SIOChef bag must be clipped to the side of the water bath. This was easy to do using a pair of tongs as a giant clip as the silicone was grippy, and the excess was easy to fold over the rim of the container. The downside, obviously, is this reduced the usable volume of the bag compared to the ziploc ones. 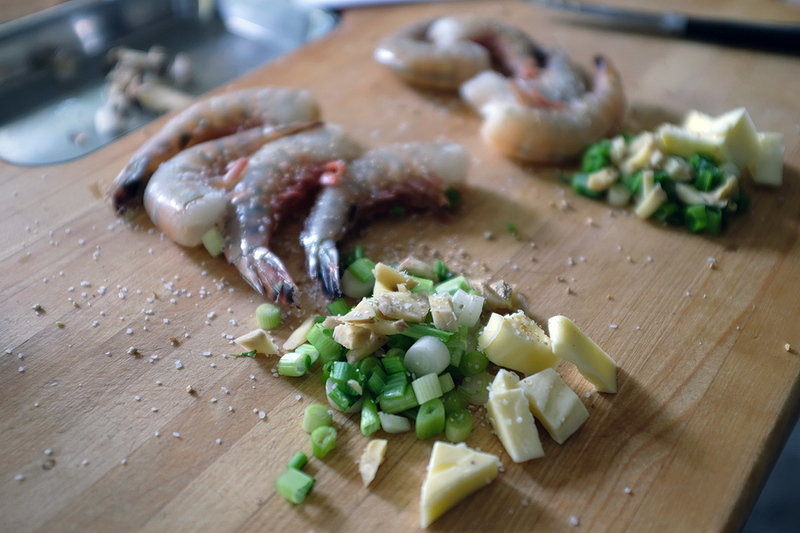 The photo below shows the contents of both bags after cooking. It is clear that the freezer bag conformed more to the shape of items compared to the silicone bag. However, that made no difference in how well the items were cooked. Note the round bottom of the SIOChef silicone bags. The shape enabled us to pour out any liquid inside the bags with ease and no mess. Tried as we might, we could not tell any differences with the taste, texture, or anything else between the shrimps cooked in the different bags. So far, so good!!! 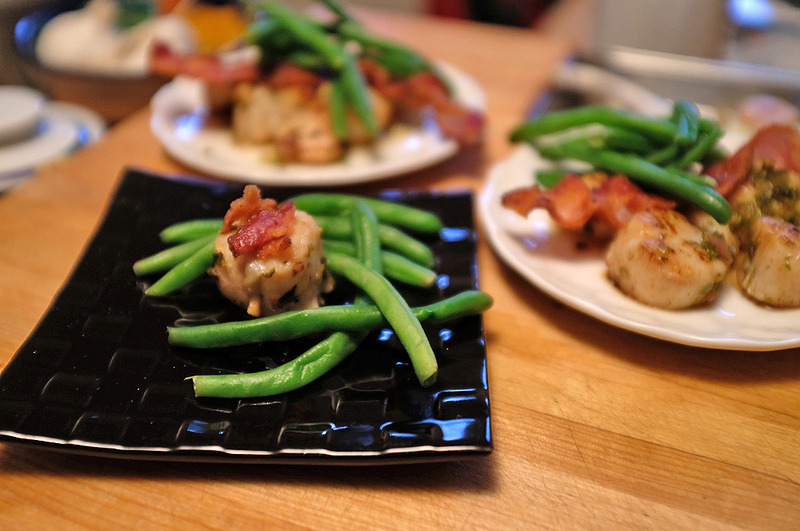 The scallops were sous vided at 125º F for 30 minutes, then sear-finished in bacon grease. 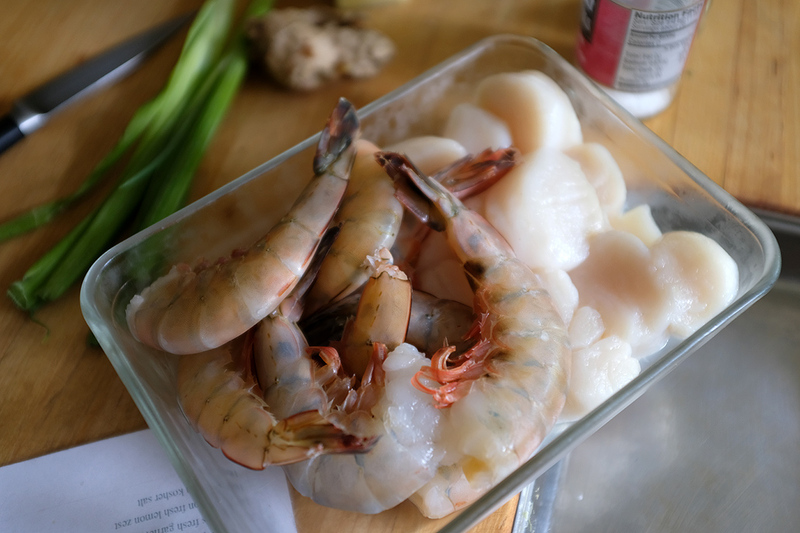 No, we couldn’t tell the difference between the scallops cooked in the different bags. Yeah, the taste was as amazing as you imagine. 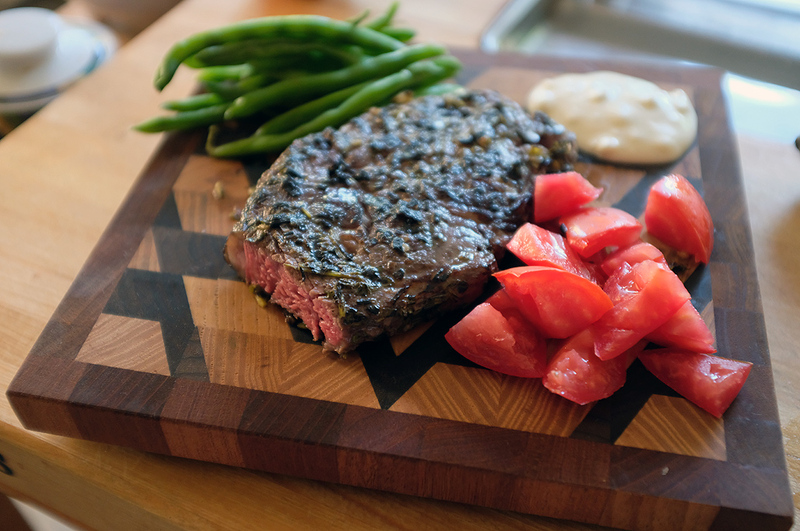 By the time we got to the ribeyes, we were pretty confident the SIOChef bags would work just as well as the freezer bags, and we were right. The steak was sous veded at 135º F for two hours and came out perfectly medium rare, edge to edge. We flame-charred it using the torch and enjoyed it to the very last bite.